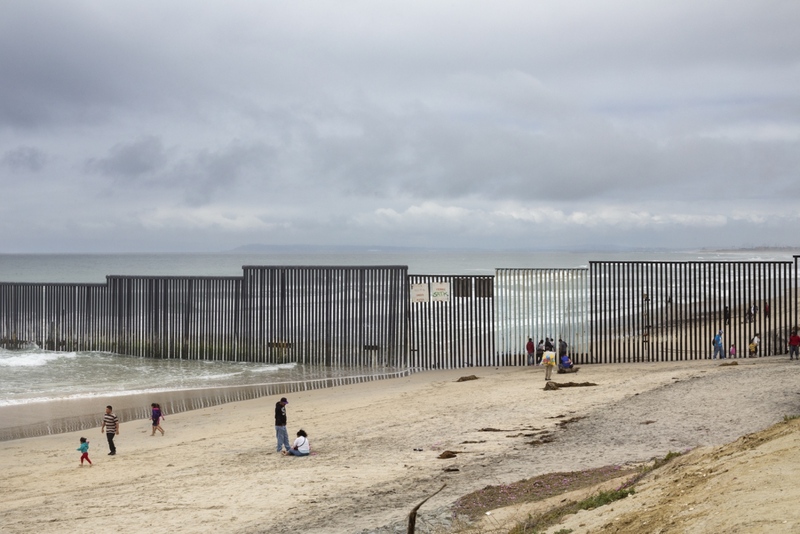 At the juncture of San Diego, California, and Tijuana, Mexico, the border wall's rusting steel bars plunge into the sand, extending three hundred feet into the Pacific ocean and casting a long and conflicting shadow. The Wall is a documentary project about “Friendship Park,” a stretch of the U.S.-Mexico border where families meet to share intimate moments through the metal fence that separates them. Physical borders create symbolic boundaries that reinforce the rhetoric of “us versus them,” in which immigrants are seen as a threat to traditional narratives ingrained in various communities across America. The existence of these fences illustrates anti-immigrant sentiment, legitimizing exclusionary practices and justifying harsh government action. 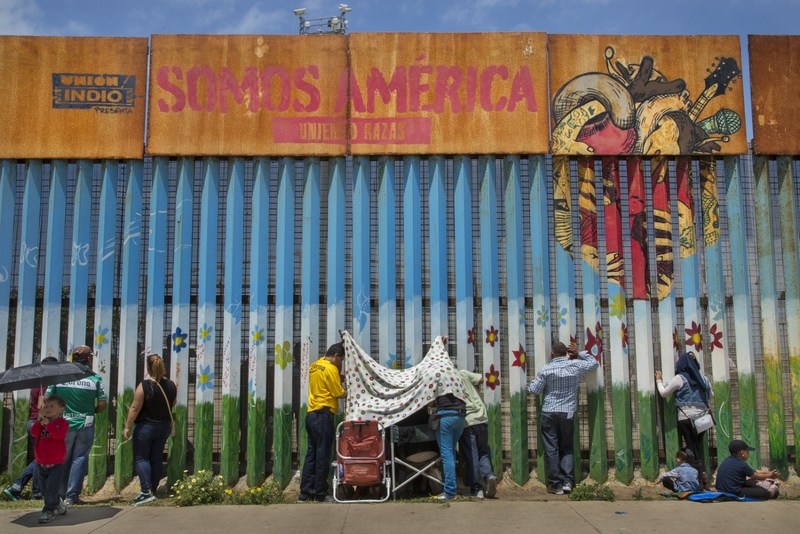 Once erected, they become enduring, permanent features of the geopolitical landscape—and a powerful, aggressive reminder to immigrants that they don’t belong. By calling attention to the human interactions at Friendship Park, where families visit with and speak with one another through a metal fence, I attempt to neutralize what this wall was built to create: Separation. 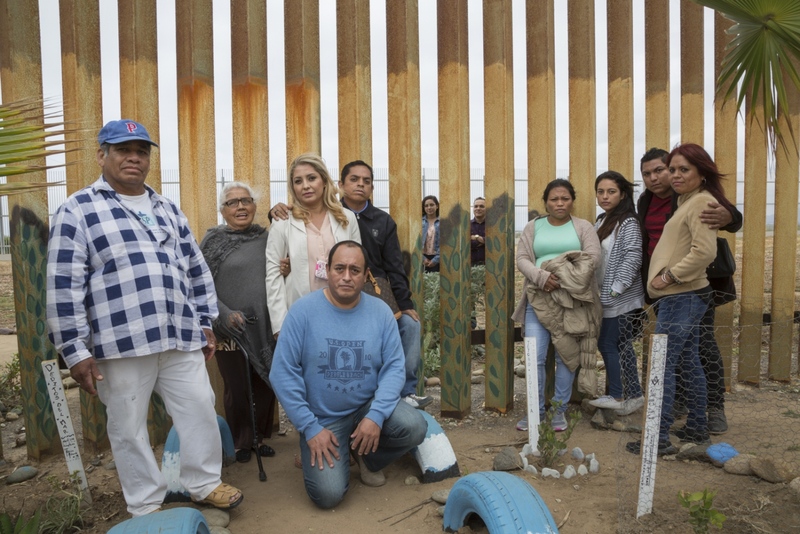 My goal is to transform the discourse on border security into a conversation about immigrant visibility, addressing audiences on both sides of the wall by challenging popular assumptions or by reminding them that they are seen, heard and that they matter. 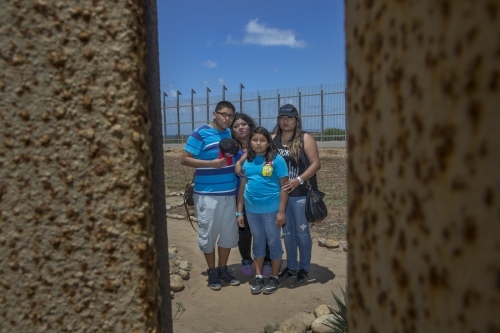 At Friendship Park, the only federally established binational meeting place along the U.S.-Mexico border, families separated by immigration laws gather at both sides of the fence to spend some time together on the weekends. On the U.S. side, the area for visitation is only open a few hours on Saturday and Sunday and the Border Patrol is always vigilant. 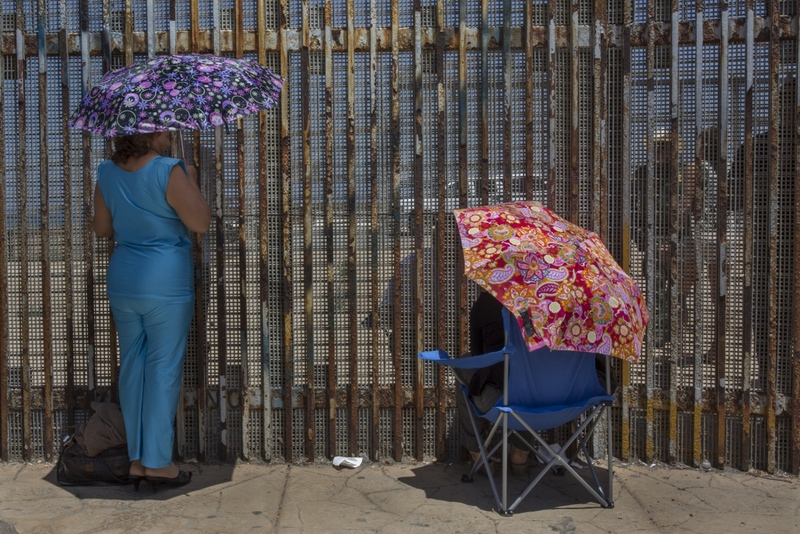 A man speaks to his family member (behind the wall in the United States) through the border fence in Playas de Tijuana, Mexico. For many, it is the only way that they can see their loved ones in person. 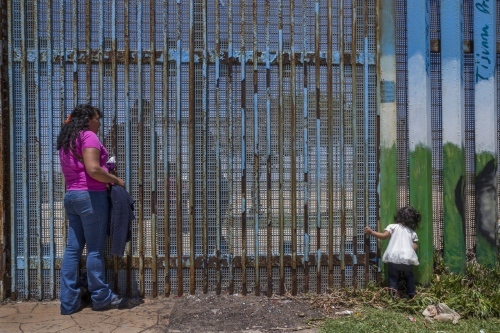 Jose Marquez poses for a photograph that a visitor is taking of his family on the other side of the border wall. 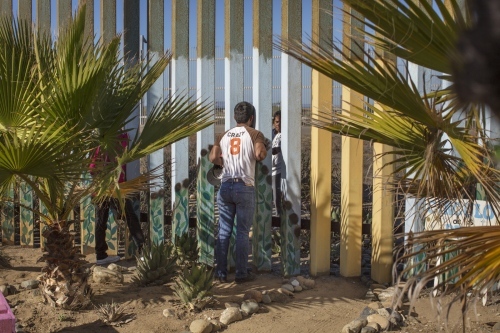 Marques has not been able to hug his daughter Susana in 14 years, since he was deported from the United States after living and working in San diego for 18 years. 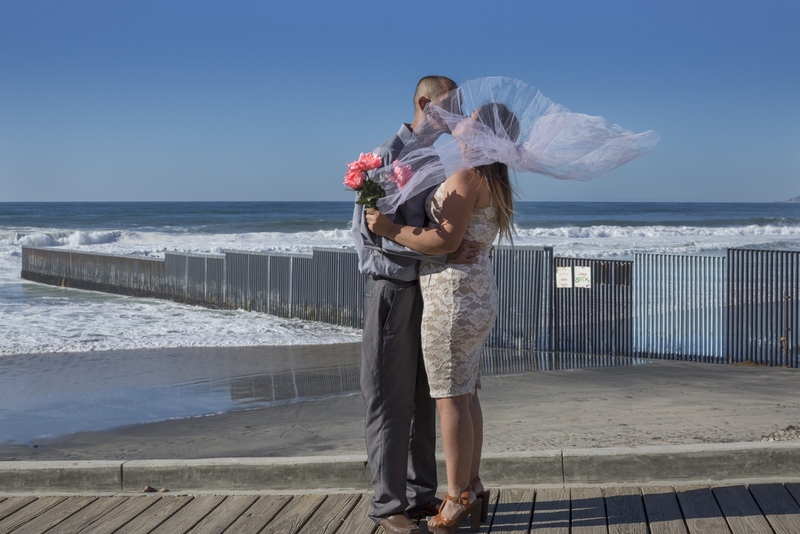 Deported Christian Pastor Jonathan Ibarra and wife Gladys Lopez at their wedding photoshoot in front of the the U.S.-Mexico border fence in Playas de Tijuana, Mexico. 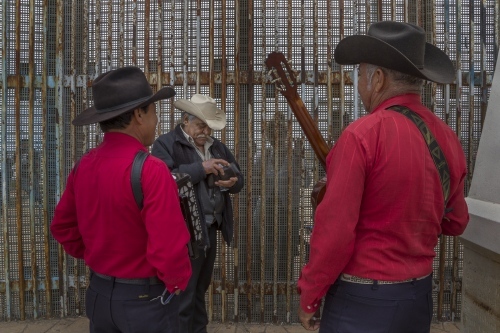 Farmworkers from Mexico’s San Quintin valley gather at the border fence to protest against abuses, low pay and poor working conditions on March 29, 2015. 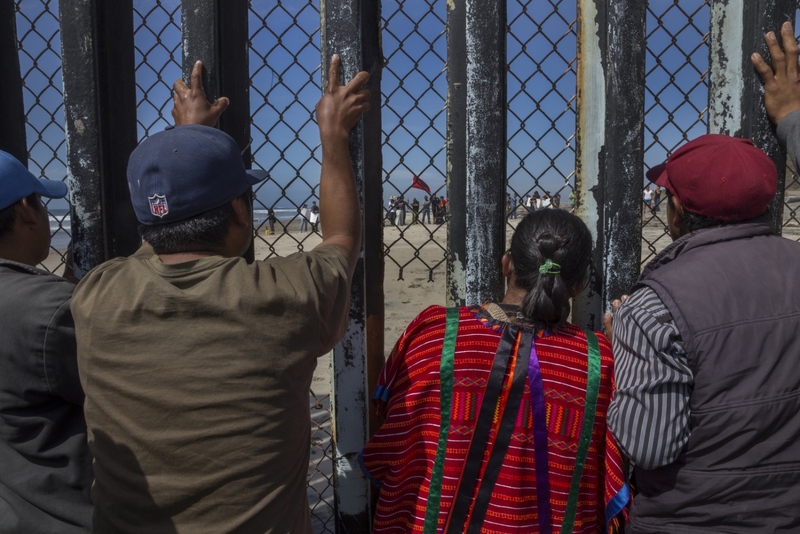 After 2 weeks of striking, the farmworkers marched en masse all the way to the border, setting up roadblocks and barricades along the way. The violent demonstrations captured international headlines. A woman talks to her children through the border wall on Mothers day 2016. 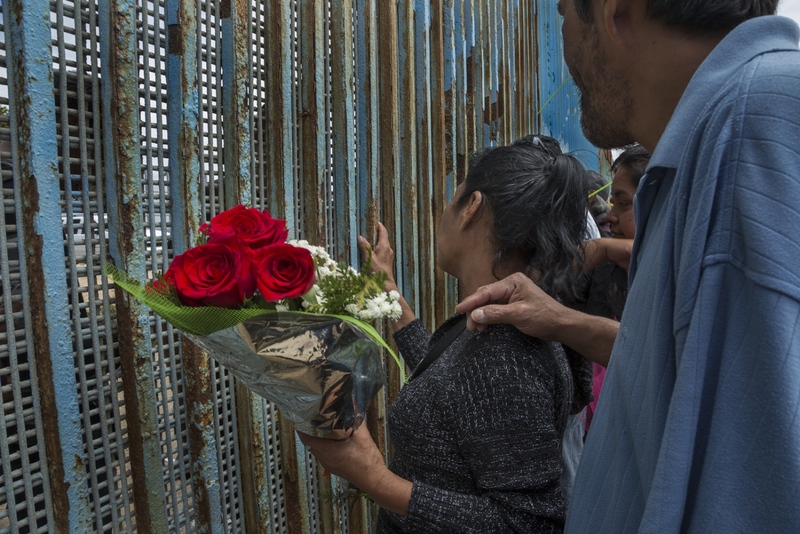 An NGO distributed flower bouquets to all the mothers attending a binational event on the Tijuana side of the border. 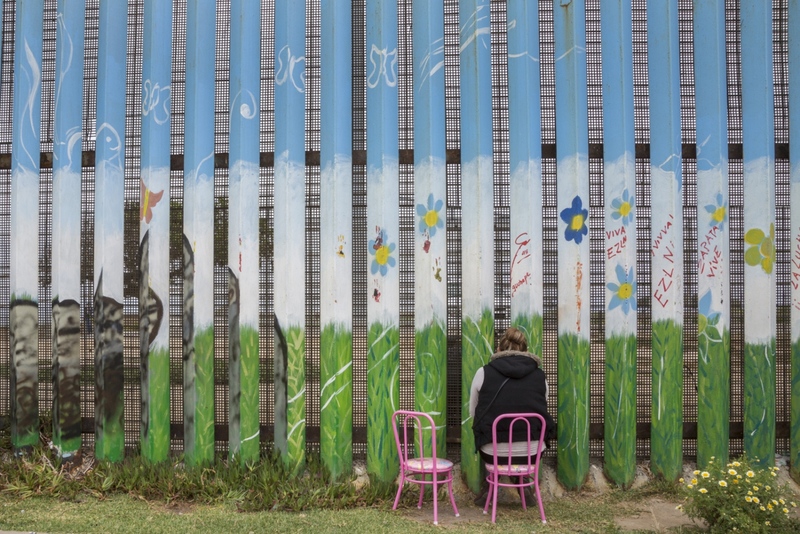 Pastor Guillermo Navarrete of the Methodist Church of Mexico at the border fence during the weekly meeting of the Border Church in Tijuana, Mexico. 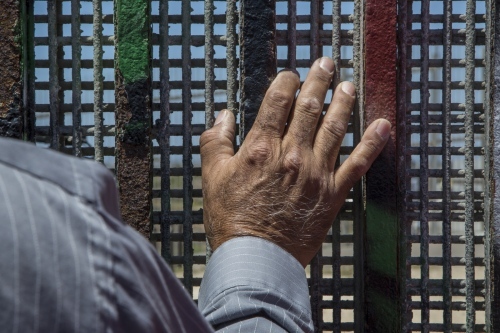 The binational service is conducted simultaneously on both sides of the border fence in English and Spanish. 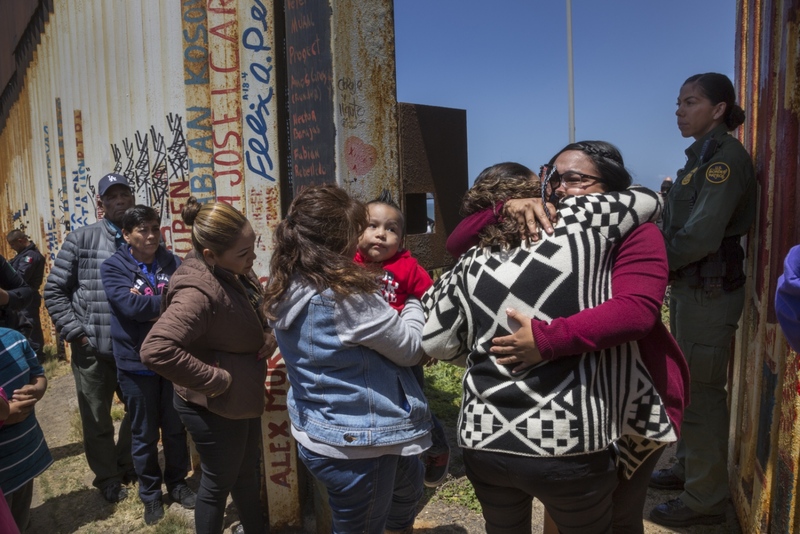 Olga Camacho and her granddaughter Yara, who is 2 years old, visit Olga’s son Jonathan, who she hasn’t been able to hug in 13 years. Jonathan benefited from DACA (Deferred Action for Childhood Arrivals) and has been able to stay and work in the United States legally. However, the Deferred Action benefit does not allow individuals to leave the country and return freely. Gabriela Esparza (in red) reunites briefly (3 minutes) with her sister Susana and her mother María del Carmen Flores during the “Opening the Door of Hope” event at the border wall in Playas de Tijuana, Mexico, on April 30, 2016. 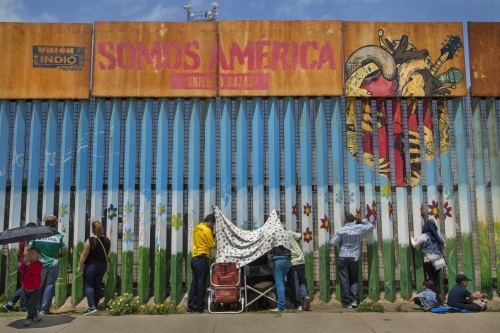 On January 2018, Border Patrol announced the door will not re-open this year. Jose Marquez hires Mexican norteño musicians to sing a song to his daughter Susana, 33, and grandson Johnny, 14, who live in California and meet with him every month at the border wall. 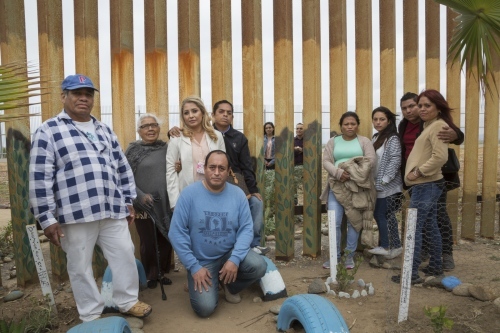 The have not been together in 14 years since Marquez was deported. Families meeting at Friendship Park, the only federally established binational meeting place along the U.S.-Mexico border. 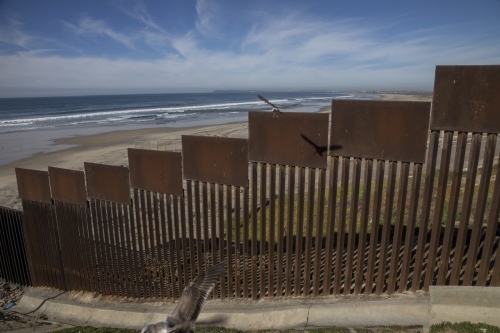 On the U.S. side, the area for visitation is only open a few hours on Saturday and Sunday and the Border Patrol is always vigilant. Rebecca Chavez with her children Jessi, 15 and Crystal, 11, and sister Suriana visit with Chavez’s mother in law for the first time. 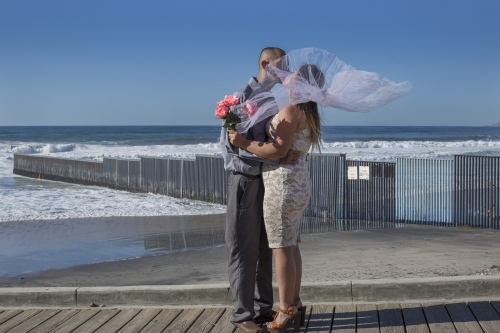 Rebecca married her husband Chris 16 years ago when he crossed over to the United States. 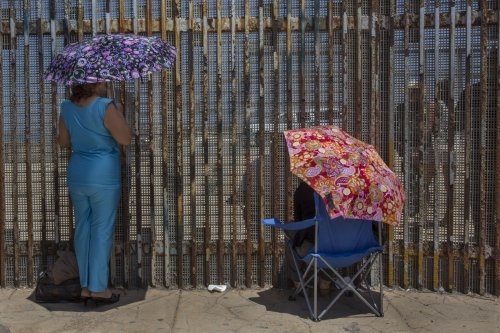 Two women meet with family members under the July sun at Friendship park, the only meeting place along the U.S.-Mexico border. 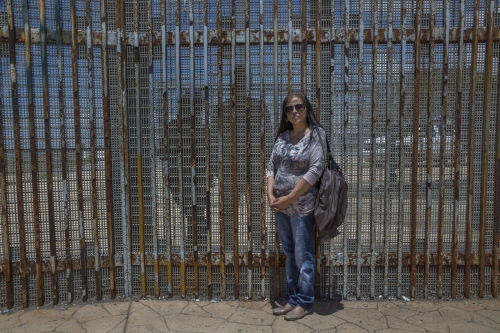 Alejandra Vallejo visits her husband Daniel Armendariz at the border wall in Playas de Tijuana. 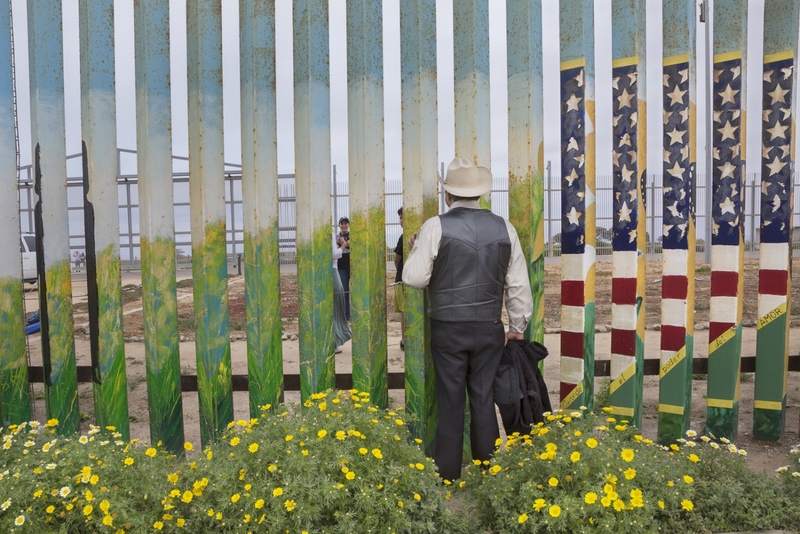 The couple has been meeting at the border every Saturday and Sunday for the past 2 months. 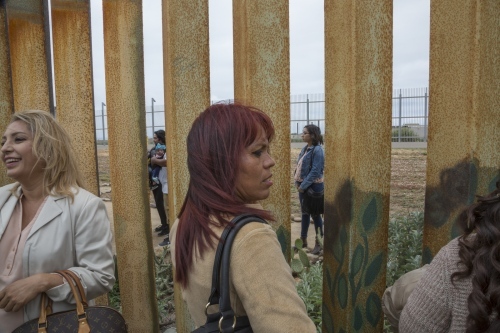 Armendariz cannot leave the United States because he is on probation and Alejandra does not have the documents to legally cross the border into the United States. 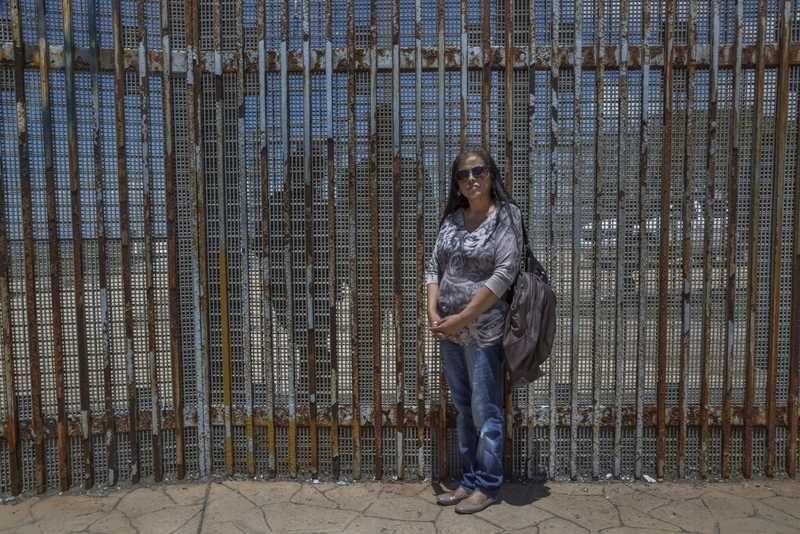 The border between Tijuana and San Diego is today a massive metal wall that has been reinforced multiple times since the 1990s. It extends down to the beach stretching out some three hundred feet into the Pacific Ocean.